Whether you are planning to have an intimate wedding or an exorbitant one, Hotel Golden Palace will surely match your unique choice, budget, and requirements. With a capacity of accommodating up to 150 in seating and 400 in floating, the venue has a cosy and comfortable interior for the guests. It also offers an in-house team of caterers that puts all the efforts to delight the guests with mouth watering multi-cuisine dishes. 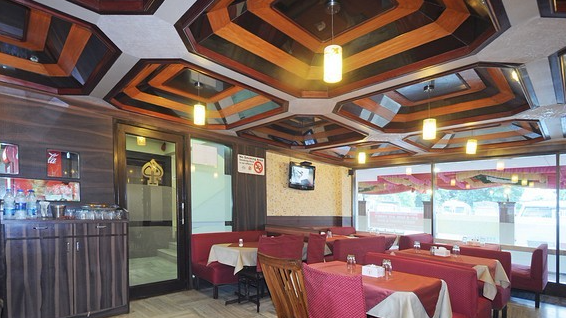 Hotel Golden Palace, Mumbai, located in the prime location of kurla is very easily accessible to its customers via rail and road. The additional benefit is its proximity to the International airport. The venue offers both, a banquet and a lawn so that you have a variety of options and decoration to choose from for your special day. The venue also ensures all your event requirements such as food, décor, etc. is taken care of under one roof to ensure a hassle free experience. Venue does not allow outside caterers. Venue does not allow outside decorators. Venue allows outside DJ. Plug-in charges applicable. Venue does not allow outside alcohol. Venue is available in the following time slots: 11:00 a.m. - 05:00 p.m. (Morning session) 07:00 p.m. - 11:30 p.m. (Evening session) Hotel rooms are provided as changing rooms to the bride and groom. Venue has rooms available for accommodation: 22 rooms, average price double occupancy is Rs. 3000. *These are average rates and are subject to change. The venue has parking capacity for 15 vehicles and provides complimentary valet services. The nearest railway station is Kurla Station. Landmark: Phoenix Market City Mall. Hotel Golden Palace, Mumbai, located in the prime location of kurla is very easily accessible to its customers via rail and road. The additional benefit is its proximity to the International airport. The venue offers both, a banquet and a lawn so that you have a variety of options and decoration to choose from for your special day. The venue also ensures all your event requirements such as food, decor, etc. is taken care of under one roof to ensure a hassle free experience.